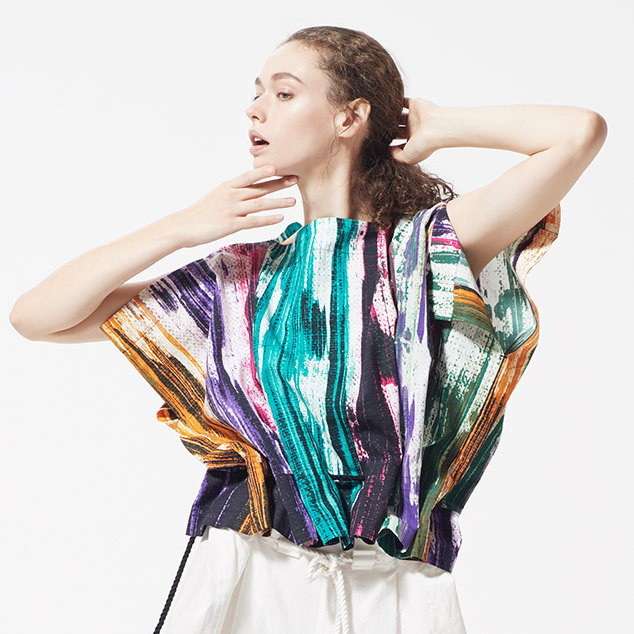 LATTICE STRETCH | ISSEY MIYAKE | News | ISSEY MIYAKE INC. The “Steam Stretch” series has pleats crossed at different angles. The refreshing, compact silhouettes are appealing.